Brain injury is one of the leading causing of death and disability in Maryland as well as the in entire country. Brain injury typically occurs when an external force causes trauma to the brain. Common external forces can include striking the windshield or steering wheel in a car accident or striking a hard floor or other surface in a slip and fall accident. Brain injuries are also common in incidents of violence such as assault and battery. It is a common misconception that for a brain injury to occur, the head has to receive some sort of direct hit from an external object or a person. In reality, many head injuries occur simply from acceleration and sudden deceleration of the head and neck. Sudden, forceful movement of the head and neck can cause the brain to make contact with the inside of the skull, thus causing a traumatic brain injury within the head. Acceleration injuries and external force injuries are two types of traumatic brain injury or TBI. Over the last decade there has been an increased awareness of brain injury that has developed in both the medical world, and in the media. Traumatic brain injuries such as concussions have become the subject of a greater number of studies and seem to make daily appearances in the news. Much of the news media attention directed toward brain injuries in the past few years has been devoted to sports related concussions. But serious concussions are common in many car accident cases, and even slip and falls, and can have severe short and long term health consequences. Sometimes the effects of a brain injury are not immediately noticeable, and thus it is imperative to seek medical attention after any serious injury accident, such as a car crash or a slip and fall. Despite an increased awareness of head injuries there is still more to be learned about the brain and the long term effects of injuries such as concussions. If you or someone you know has suffered a head injury from and accident or fall due to someone else’s negligence and injury lawyer may be able to recover monetary damages for both the long and short term effects. Brain injuries can have a major impact on all aspects of everyday life, and can in some cases be irreversible. The impacts of brain injuries can range from emotional, cognitive, and social effects, to permanent disability and even death. Medical treatments in the field of brain injury treatment and management can include surgery, either immediately or many years after the initial injury, medication, and physical therapy. 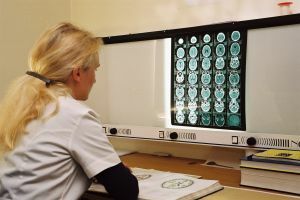 Although some brain injuries can appear on certain medical tests such as CAT scans and MRIs, many brain injuries are not visible, and can only be discovered after a long period of time. This is exactly why brain injuries can be so difficult to deal with for the injured person as well as his or her family and friends. If you or a loved one has been injured in a car accident, slip and fall, or any other type of serious accident a Maryland injury lawyer may be able to help recover the damages you deserve. Contact The Herbst Firm today for a free consultation with a brain injury lawyer in one of our Maryland offices, or 24 hours a day over the phone.